A new study by the Queen Mary University of London, published in the Lancet Diabetes & Endocrinology journal, specifies that reducing all sugar sweetened beverages by 40% over five years would prevent one million cases of obesity, and 300,000 cases of type 2 diabetes over two decades. The research data for this study was based on national representative data obtained from the National Diet and Nutrition Survey rolling program over a four year period (2008-2012) and British Soft Drinks Association annual reports. The scientists calculated sugar sweetened beverage (SSB) consumption level (both with and without fruit juices) and its contribution to free sugar and energy intakes in the UK population. The predicted reduction in energy intake resulting from the proposed strategy at individual level was estimated and modeled the predicted reduction in body weight for each adult. The estimated calculations reveal that a 40% reduction in free sugars added to sugar sweetened beverages over five years would lead to an average reduction in energy intake of 38.4 kcal (calories) per day by the end of the 5th year and this would lead to an average reduction in body weight of 1.20kg in adults, resulting in a reduction in overweight and obese adults by approximately 0.5 million (1.0%) and 1.0 million (2.1%) respectively. This would in turn prevent 274,000-309,000 obesity-related type 2 diabetes over the next two decades. 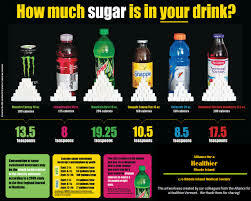 Children in particular are exposed to a high consumption of sugar sweetened beverages in the United States leading to the current obesity epidemic. The study specifies that the predicted impact would be greater in adolescents, young adults, and individuals in low income families who consume more sugar sweetened beverages. The authors recommend a gradual reduction in sugar sweetened beverages as consumers are used to a sweet taste and may be more attractive to the beverage industry who fear substantial loss of sales. The proposed strategy could lead to a profound reduction in energy intake from sugar-sweetened beverages and could therefore lower the prevalence of overweight, obesity, and type 2 diabetes in the long term. These findings provide strong support for the implementation of the proposed strategy. Gradual reduction of sugar in soft drinks without substitution as a strategy to reduce overweight, obesity, and type 2 diabetes: a modelling study, Yuan Ma, Feng J He, PhD, Yunjian Yin, BSc, Kawther M Hashem, MSc, Prof Graham A MacGregor, FRCP, The Lancet Diabetes & Endocrinology, doi: 10.1016/S2213-8587(15)00477-5, published online 6 January 2016.